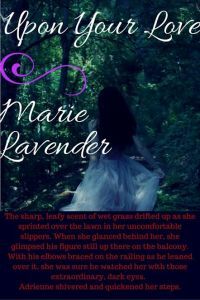 A spotlight on my latest release! 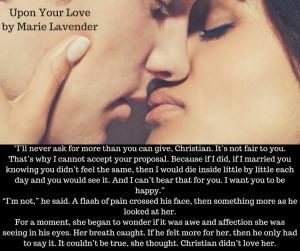 I have added some pics her of Marie Lavender’s cool new book titled Upon Your Love. Sales links here; pick one up! 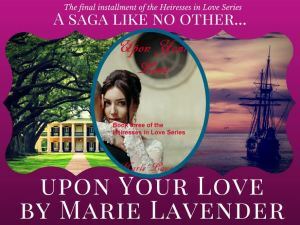 Posted on April 1, 2017, in Authors, Books, Fiction, Historical Romance, new release, News, Readers, Romance, Romance Novels, Writing and tagged book spotlight, family, featured, Heiresses in Love Series, Historical, Historical Romance, Marie Lavender, news, saga, spotlight, Upon Your Love. Bookmark the permalink. Leave a comment.